A 30-year-old man arrested as part of an under-car bomb investigation has been released unconditionally. Detectives from Serious Crime Branch confirmed this morning that the man, who was arrested on Wednesday, has now been released from custody. An under vehicle improvised explosive device was placed under the car of a serving police officer in Eglinton on June 18, 2015. 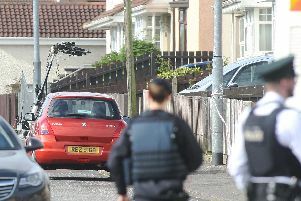 The man arrested on Wednesday had been taken to Musgrave PSNI but has now been released unconditionally.